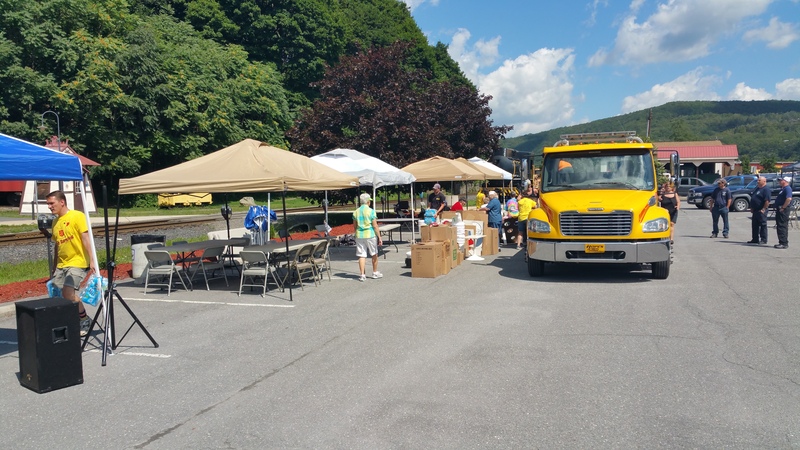 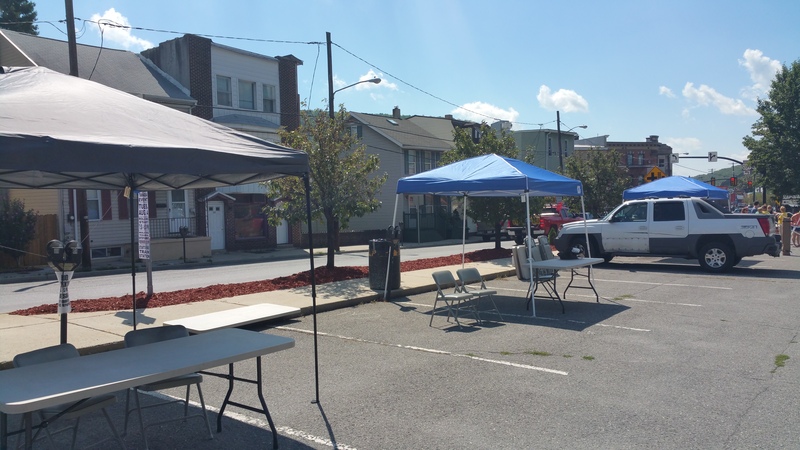 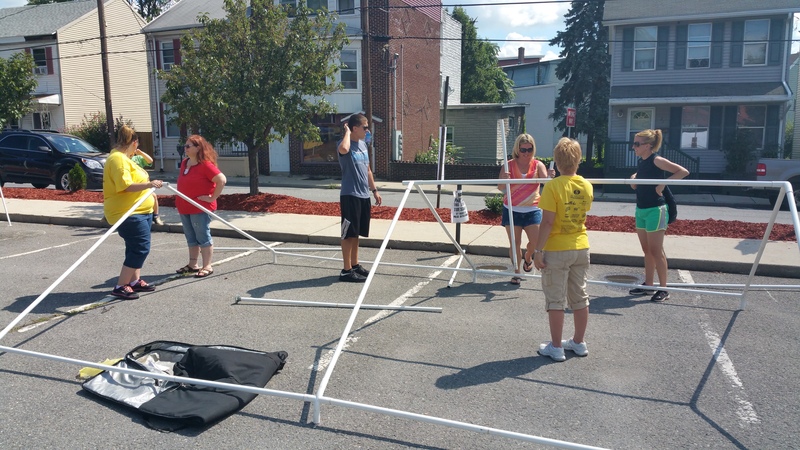 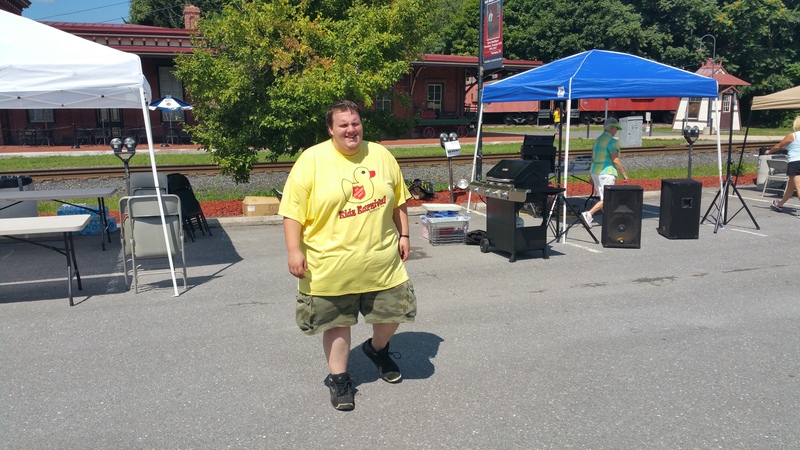 Members and volunteers with the Tamaqua Salvation Army are setting up for their Second Annual ‘Kidz Karnival’ event being held today, Tuesday, August 4, 2015 from 2 PM to 9 PM at the North Railroad Street parking lot (in front of the train station) in Tamaqua. 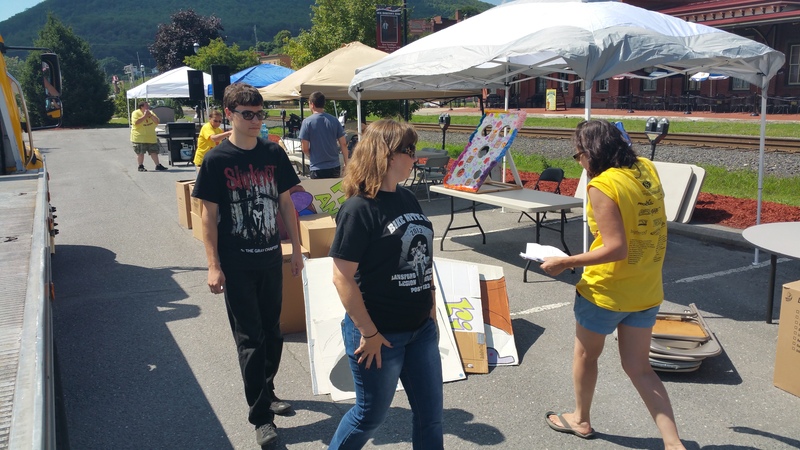 The event, which is being held in conjunction with Tamaqua’s National Night Out and Dear Tamaqua event, will include numerous activities, games, rides and food. 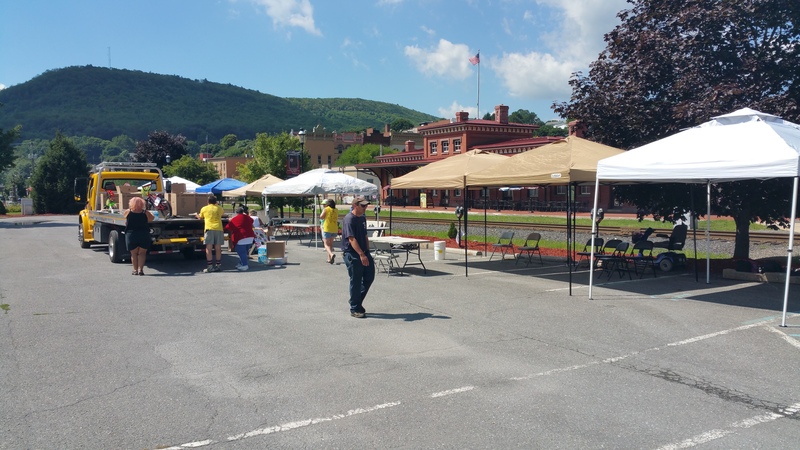 The free community ‘Dear Tamaqua’ event starts at 7:30 PM at the Tamaqua Train Station. 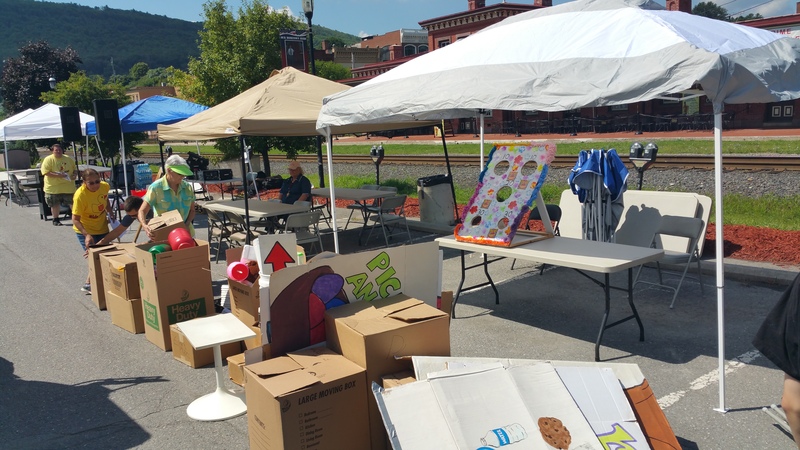 Ticket booklets donations cost $5 each and are available by contacting any Tamaqua Salvation Army soldier, board member or volunteer. 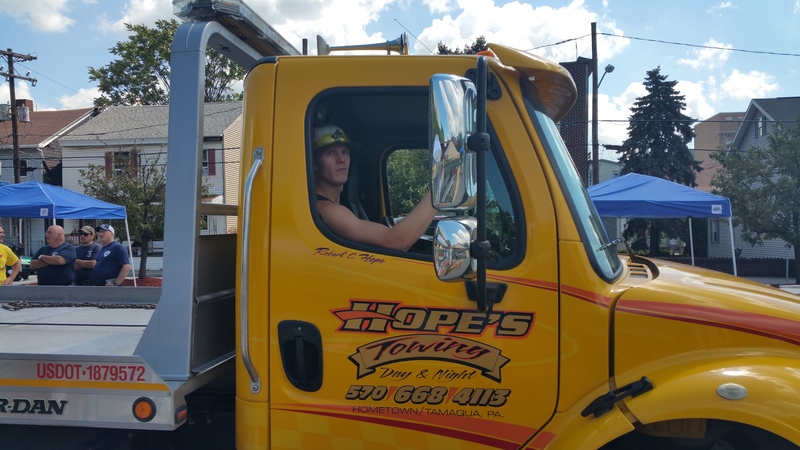 They can also be purchased by calling (570) 668-0410 during the day or (570) 668-1234 any time after. 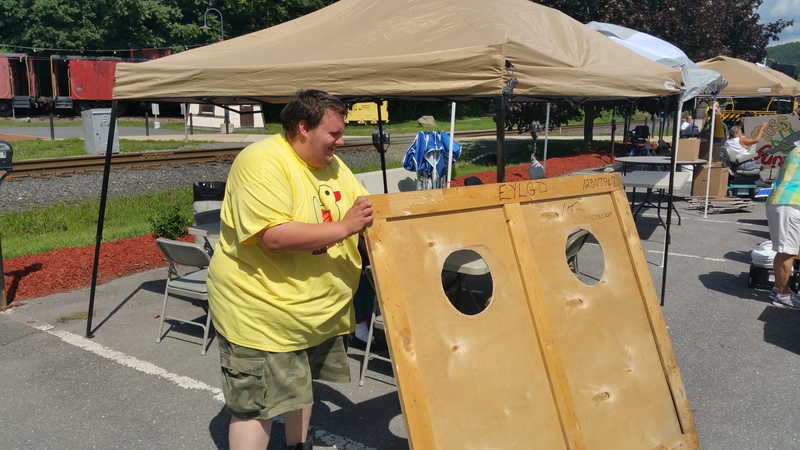 Food, game and ride prices vary. 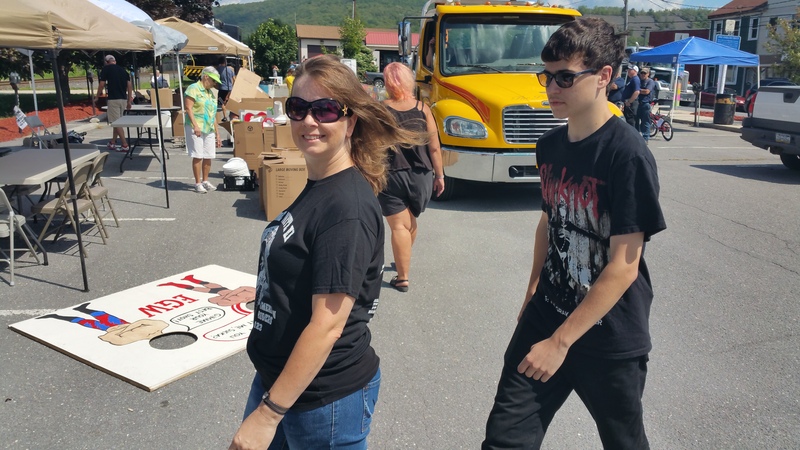 You can purchase the day of the event. 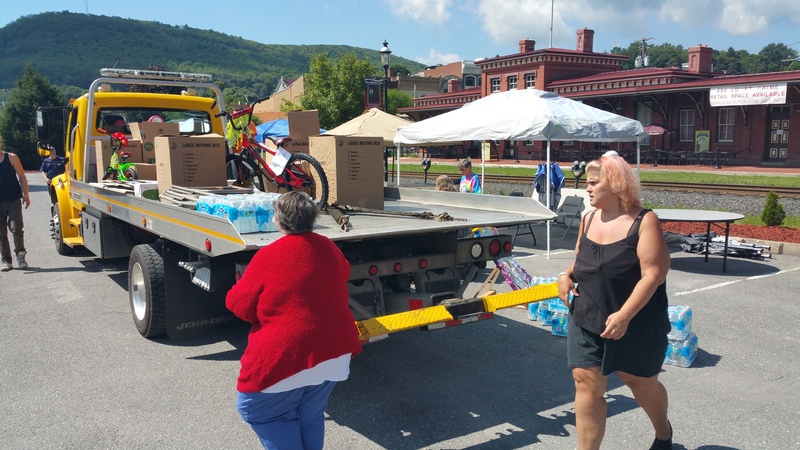 Tamaqua Salvation Army Major Sharon Whispell said that any donations are accepted, no matter the amount. 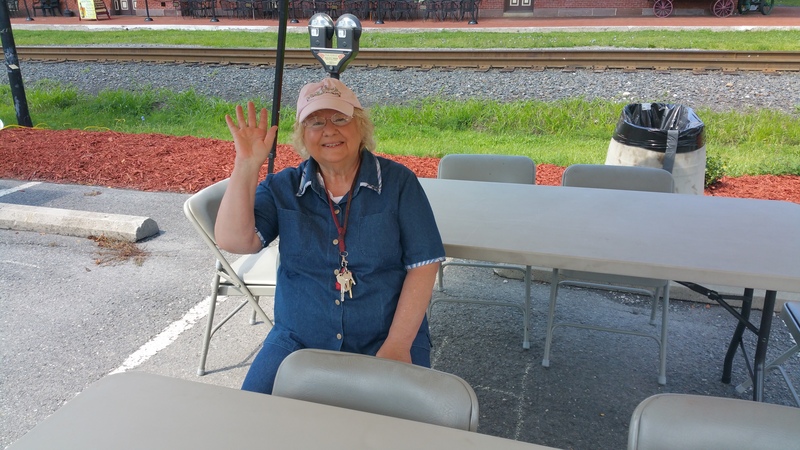 She added that anyone can purchase and donate tickets for underprivileged children as well. 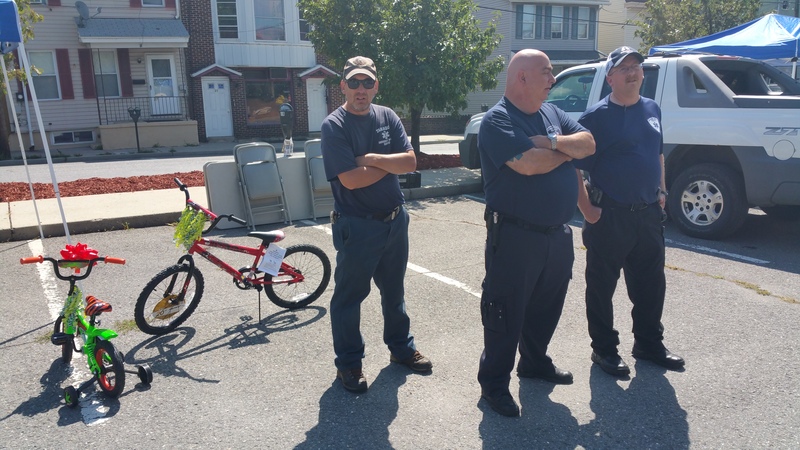 Select children will be given tickets prior to event via the Corps’ assistance program. 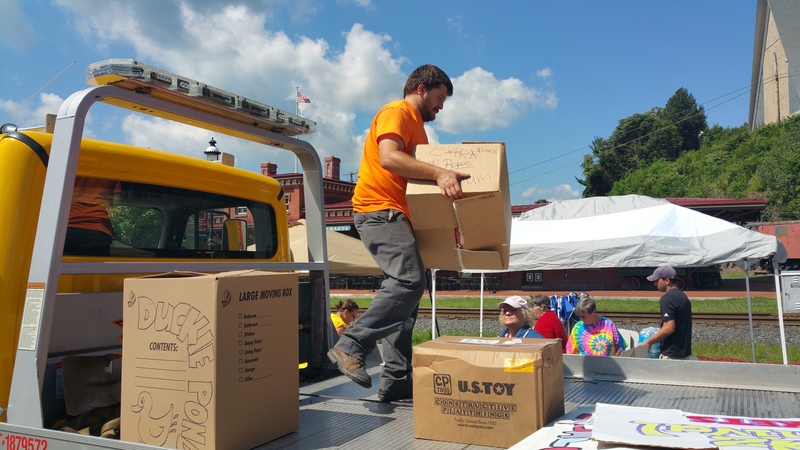 Volunteers hope this event will be one of the Corps’ major annual fundraiser for the year. 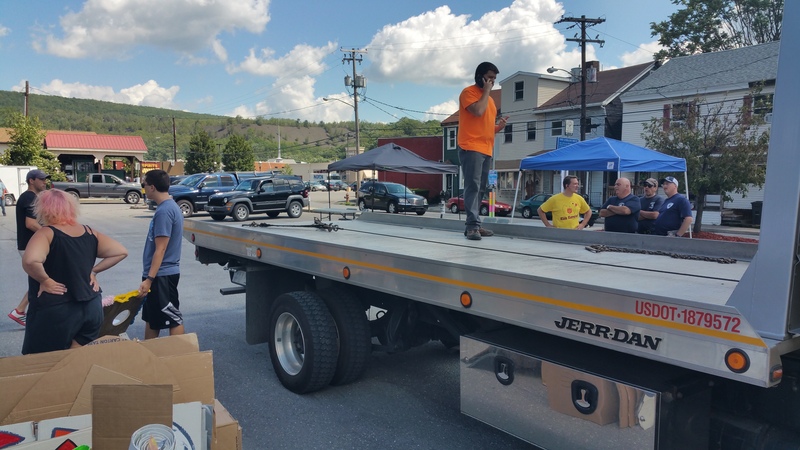 Whispell and board members also praised Silberline Manufacturing Inc. of Hometown for matching donations and tickets sales up to $10,000. 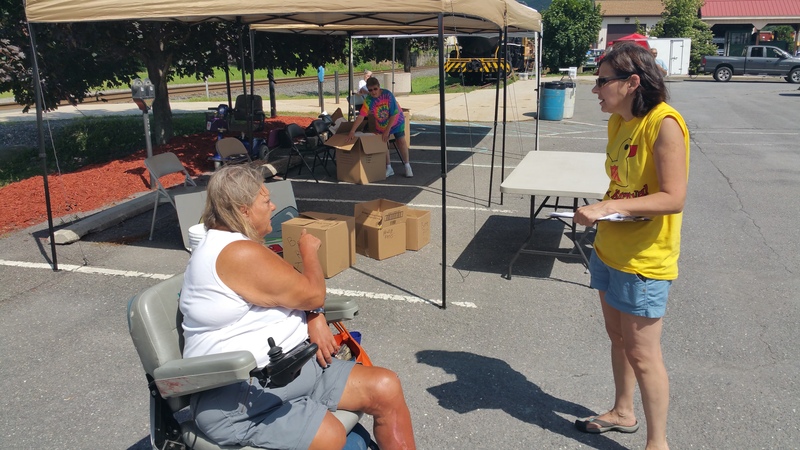 “Your $10 donation actually is $20 thanks to the generosity Silberline Manufacturing,” said Whispell. 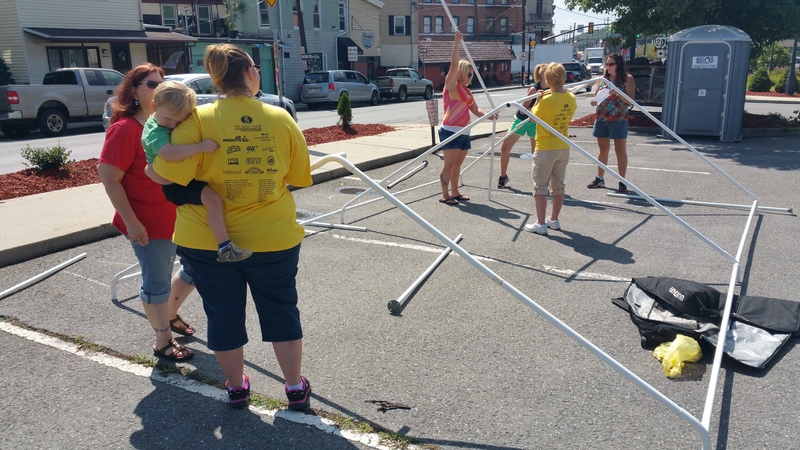 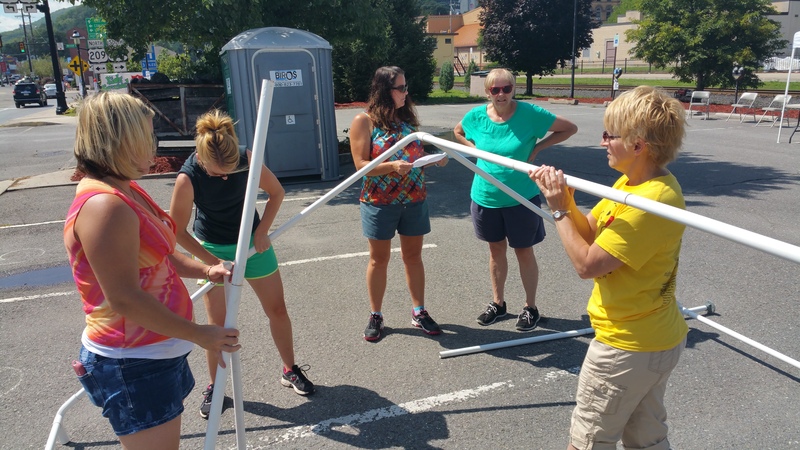 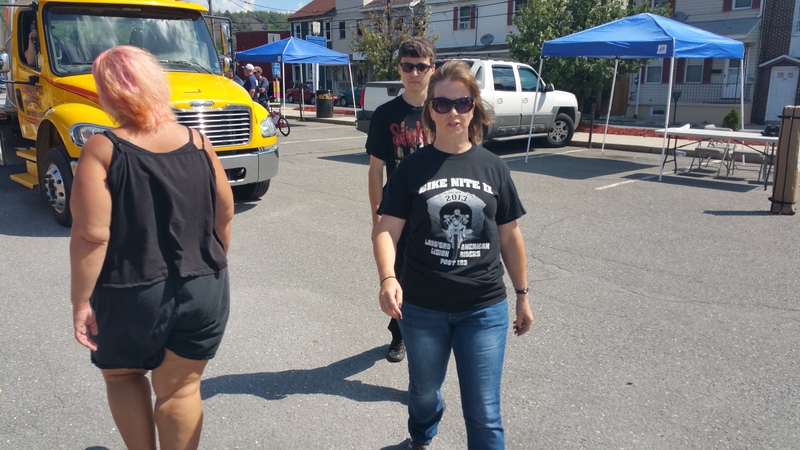 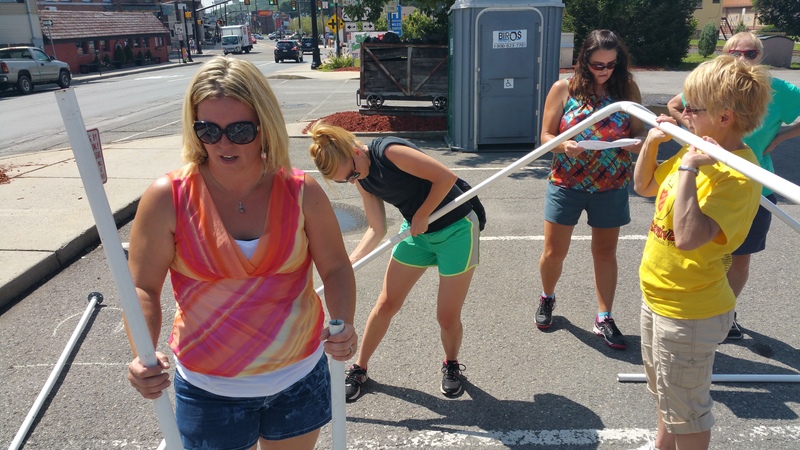 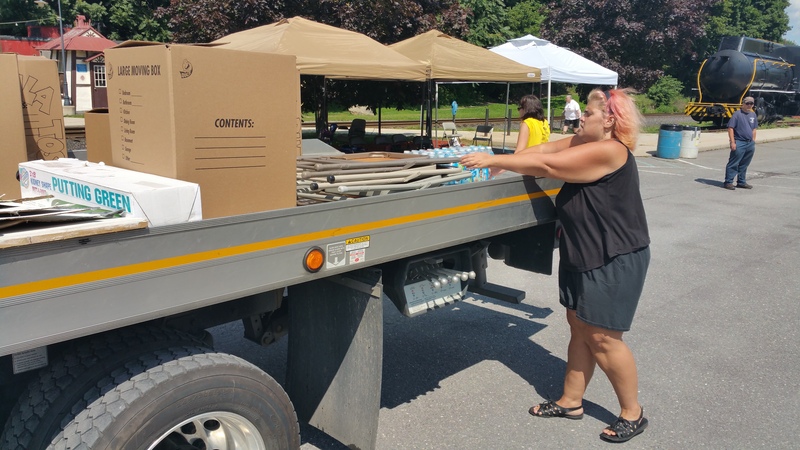 Dina Depos, programs coordinator, Tamaqua Salvation Army, said they could always use extra volunteers to help set up, run the games and tear down. 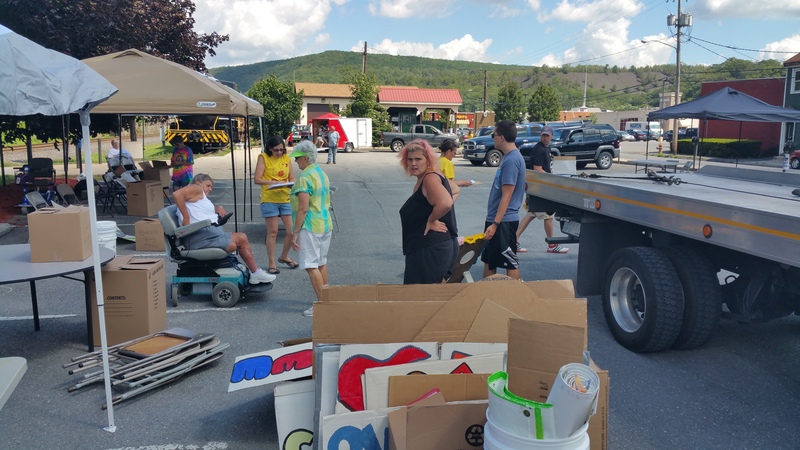 If you can help, please stop by the event or call (570) 668-1234 anytime. 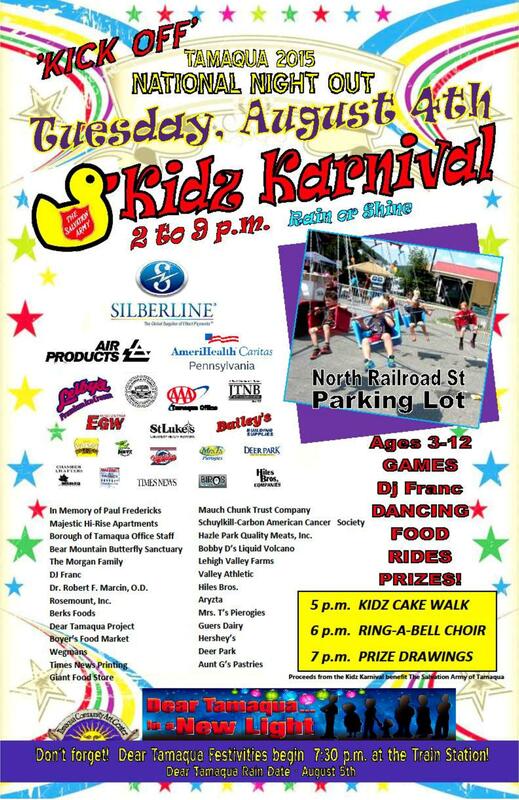 The event is held rain or shine. 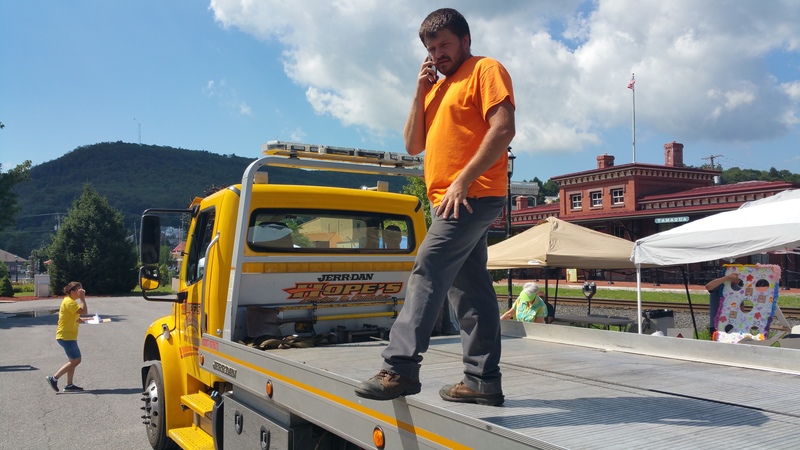 Due to the nature of the event, tickets are non-refundable. 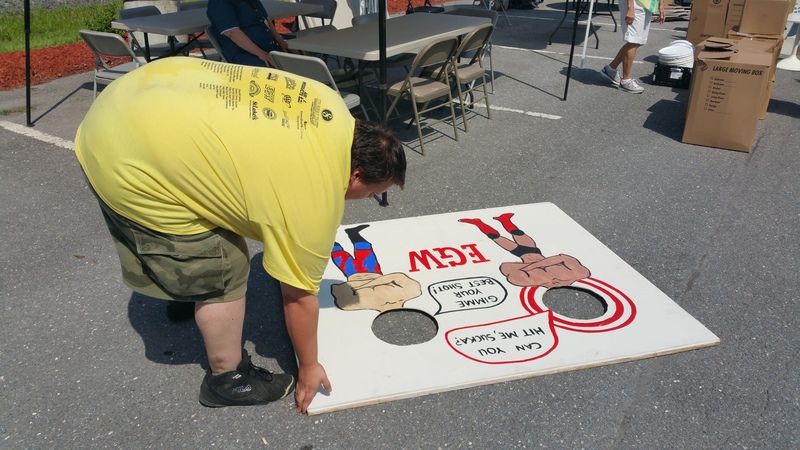 All proceeds from the carnival benefit activities, services and programs of the Tamaqua Salvation Army. 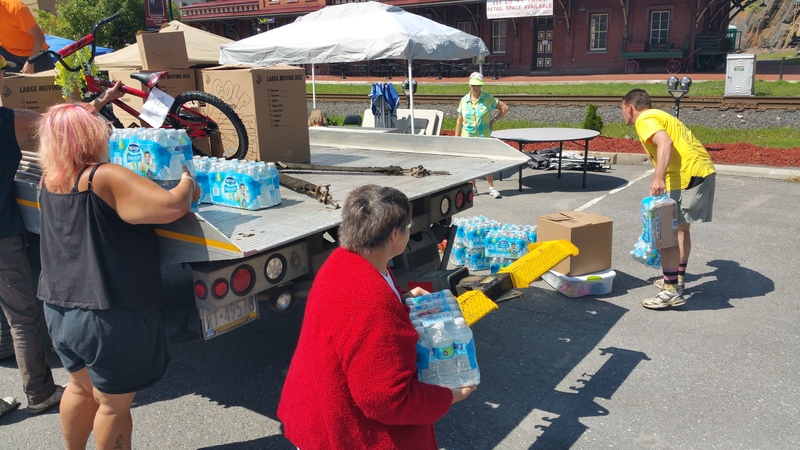 If you want to help financial, mail your check to Tamaqua Salvation Army, 105 West Broad Street, Tamaqua PA 18252 or by texting TAMAQUA to 41444. 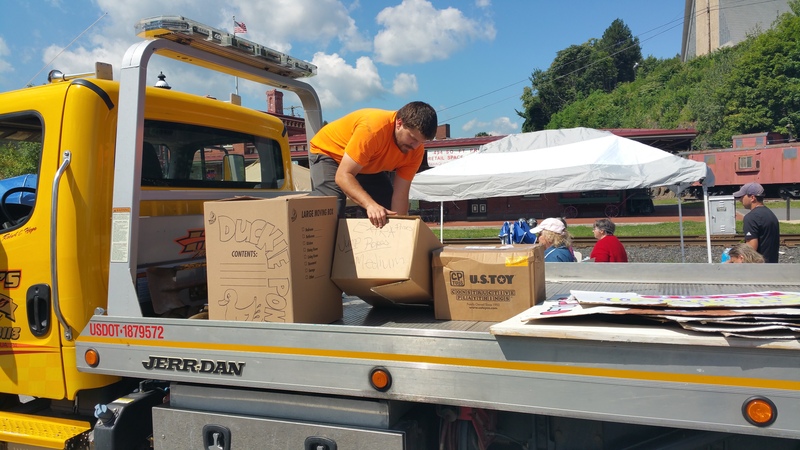 The Tamaqua Salvation Army is supported by community members and the Schuylkill United Way.